My place setting | Ready to eat feast! | My plate. Oy. This is an annual meal my friends and I do; see 2010 and 2009! How absolutely fun! That sweet potato cass looks so delish! Yum everything looks so good. this food looks incredible. what a great time, i love this tradition you ladies have. Such a fun tradition - looks like you all had a lot of fun! Seems like so much fun. What a good idea! Looks like a great feast indeed. beautiful plate settings. Fun! And I too love the Yule Log! Aww... 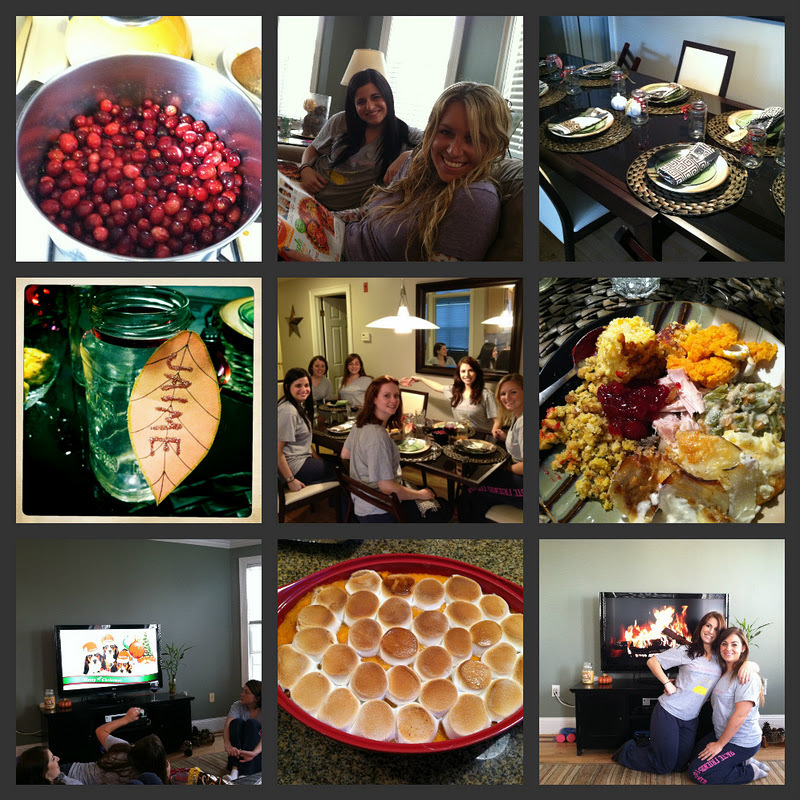 I [heart] your girls Thanksgiving!! Oh my gosh those cranberries and rolls look delicious, what fun! this is the cutest idea jaime!!! i love that you and your friends have made a tradition of this. hope you are doing well! i miss you and all the other boston ladies. I never get home to see my family for Thanksgiving anymore (they live too far away), but I'm beginning to really like the tradition of it just being my fiance and me with friends. P.s.- I like how nicely you set the table! Aw, your sweet potato casserole looks so pretty! I miss celebrating Thanksgiving... have a lovely one! I love this idea; I used to do this with my high school friends, I need to revive the tradition!